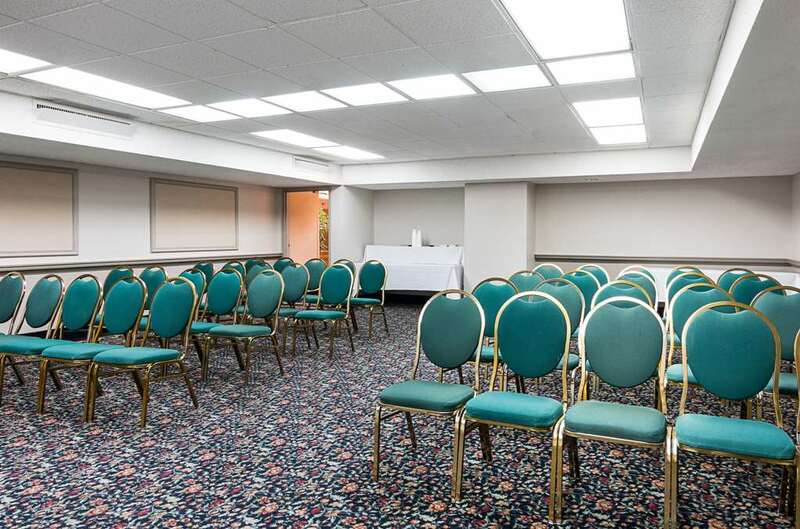 Get the basics you need while on a budget at our Rodeway Inn and Suites and Conference Center hotel in Monroe, LA. Our hotel is conveniently close to the University of Louisiana at Monroe, CenturyLink, Pecanland Mall and Biedenharn Museum. Each guest can enjoy our hotels free WiFi, convention space (up to 500 people), TKs Bar and Grill and exercise room. Each one of our guest rooms comes with a hair dryer, coffee maker and desk. You can also sign up for our Choice Privileges program and start earning rewards points today.